“Praha again, Praha again,” my cousin’s husband told me when we said good-bye and discussed when and where we might meet again. I needed to return to the Czech Republic. I promised I would. My grandfather crossed the Atlantic by ship from his native Czechoslovakia (present day Czech Republic) to the States in his 30s. He left Europe in the 1930s during the Great Depression and the changing political landscape for a dream. The American Dream. He gave up everything for a chance at a new life, a free life, and the promise of America. I admire that. It is truly staying adventurous. 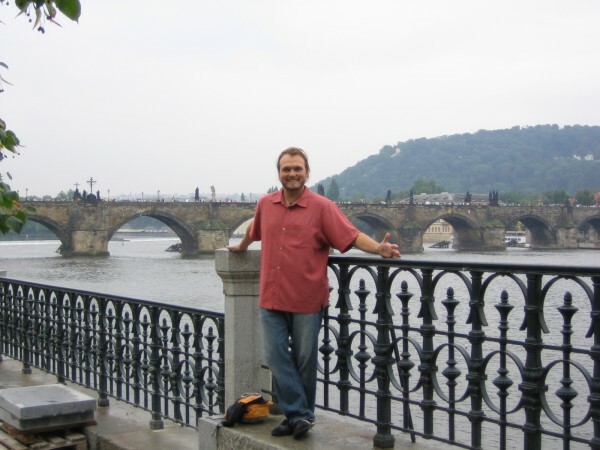 So, when I visited Prague and the Czech republic I wanted to find the roots of my family tree. My family had one lead and thankfully it worked out. We met distant cousins and shared a few days touring Prague and the village where my Grandfather was born. I left with memories and a very emotional souvenir – a Prague Christmas Stone. Now more than five years have passed. Sure, I send Christmas Cards and the occasional post card from my travels, but I still need to return. I want to. I almost put it on my 2012 New Year’s Resolutions, but thought it might be too difficult this year and I’d wait for the next one. And then I learned of an opportunity. I decided why not return on assignment. To return working as a travel blogger. Perfect. A chance to see the Industrial Heritage of the city as well as once again visit my own heritage. Plus, as a machinist my grandfather lived the industrial era. Again perfect. I’d have the chance to learn about the culture and history of the land of my heritage, something my grandfather wanted to teach me, but never did. So, maybe this August I’ll return to Prague, or maybe I’ll need to wait a few more months (or years). Either way, I will keep my promise, “Praha Again.” I toasted to it then, and I’ll toast to it tonight too. Ps – I’d love it if you wished me luck below…. Wishing you good luck, Craig. Always enjoy reading your posts. Put the trip on your agenda and go. I know, easier said than done. @Mary, Steph, thanks for the wishes… Prague is an amazing destination and I am proud to call it home for many of the roots of my family tree. I look forward to returning… And Mary, I will put it on there, don’t worry. What a great experience to see where your ancestors lived. Best of luck to you. Your grandfather was from Czechoslovakia? Great! I was born there too 😀 And love Prague, I go there always when I can, usually at least once a year! Good luck! @maryann, thanks, it is truly an amazing experience, one i look forward to having again. @CSFT, yes he was, born outside of Praha in the early 1900s. Thanks for the well wishes, and I hope some day I can say I get to Prague once a year too.